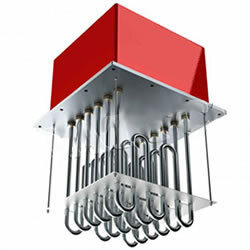 Tubular, finned tubular, and open coil duct heaters that are installed directly in-line (flanged), or installing into the duct. We supply process heaters for industrial heating applications and and air duct heaters for ventilation and comfort heating. 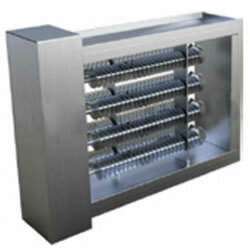 We offer both standard and custom units that are resistant to corrosion and are easy to maintain and install.